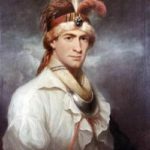 This short video clarifies the role played by Loyalists throughout the American Revolution. Never more than 1/5 of the population, Loyalists’ political and military significance varied both chronologically and geographically. Professor Jack Rakove highlights the efforts of British forces in the Southern colonies to enlist Loyalists in hopes of “pacifying” the countryside, but concludes that there were too few Loyalists for this strategy to succeed. This short video challenges the notion that the Constitution was a conservative reaction to the democratic ideals of the American Revolution. 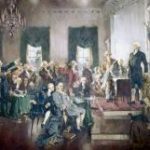 The Revolution generated constitutional discussion in the states, where legislators explored the nature of executive power, and other constitutional questions. In light of this constitutional innovation, Professor Jack Rakove maintains that the Constitution of 1787 was the culmination of—not a reaction to–the Revolution of the late 1770’s. 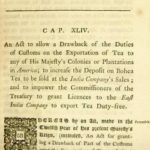 This short video traces the crises of the 1760s (e.g., the Stamp Act, the Townshend Act) through to the relatively quiet early 1770s, culminating in the Boston Tea Party of 1773. Professor Jack Rakove emphasizes the role of individual in history. 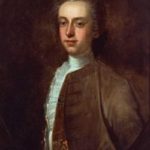 Governor Thomas Hutchinson forced a crisis—the Boston Tea Party–by insisting on strict enforcement of the Tea Act. He could have chosen a different tactic (as did other governors), but chose not to. This short video examines the Boston Tea Party of 1773 as the critical event which transformed political discussion about British imperial authority into an active source of controversy. By the early 1770’s, British and Americans thought differently about the extent of Parliament’s power to legislate for the American colonies. Professor Jack Rakove notes that British punishment of Massachusetts for its defiance of the Tea Act precluded a peaceful resolution of the political controversy. How Did the Constitutional Convention Deal with Slavery? This short video explains the differing perspectives that emerged about the Constitution and slavery. Some, like Frederick Douglass, believed that the Founders put slavery on the road to extinction while others, like Roger Taney, believed that the Constitution was a slaveholders’ document. Professor Gordon Lloyd contends that the slavery clauses in the Constitution both limited and expanded slavery’s impact, and that the Founders alone do not bear responsibility for slavery’s later expansion. 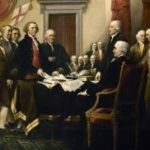 Act III: How Did the Constitutional Convention Work Out the Details of Government? This short video examines the role played by the Committee on Detail in defining the powers of Congress, the most important of which were the power to tax and the power to regulate commerce. The Committee wanted to promote an interstate commercial republic and specified congressional powers to achieve that goal. According to Professor Gordon Lloyd, the inclusion of the “necessary and proper clause” was the most significant contribution of this Committee. Act II: What Was the Connecticut Compromise at the Constitutional Convention? This short video explores the Connecticut Compromise, in which the delegates rejected an “either/or” solution to the question of representation and instead “thought out of the box,” creating a government that was partly national and partly federal. Professor Gordon Lloyd points out that although the final vote (5/4/1) on the Compromise did not reflect a bi-partisan consensus, it nevertheless was a significant breakthrough for moving on to other issues. Act I: What Were the Various Plans at the Constitutional Convention? This short video highlights the four plans discussed during the first two weeks of the Convention: Madison’s Virginia Plan; Sherman’s New Jersey Plan; Hamilton’s “monarchical” plan; and, finally, Madison’s amended Virginia Plan. Each plan attempted to reconcile the potential conflicts between a strong national government and strong state governments. Professor Gordon Lloyd notes that an inability to compromise resulted in a stalemate after the first two weeks.